Turkey is the setting for the first leg of the second semi-final of the Eurocup this season and these two teams have clashed before in this tournament. Back in 2008, the Turkish team got the better of things and progressed to the semi-final, which was the only other time they have reached this stage of the campaign. The hosts will be looking to make it to the final and they will be basing any confidence they feel on their home for. Galatasaray have a 9-1 record at home this campaign and in the last 6 home games, they have won by an average of 24.8 points. In a two-legged affair, this is exactly the sort of result you are looking for your home game. In recent rounds, the Turkish side have been away from home in the first leg, meaning that they know what they have to do in the home leg, so this may add a different type of psychology to the way that Galatasaray approaches this game on Wednesday night. The Spanish side come into this game with a 7 game winning streak on the road and an 8-2 record over the course of the season away from home. 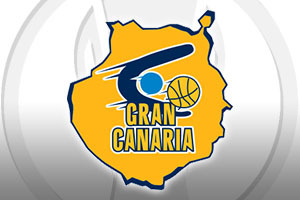 This has to give Gran Canaria confidence and the fact that they have won their two most recent away games by double-digits indicates that they have what it takes to put teams away, when they are away from home. Gran Canaria are currently ranked third with respect to scoring, with an average of 85.3 points per game, and they are also third with respect to assists, with an average of 19.4 assists per game. With the second best average performance index rating, 97.4, you can bet that Gran Canaria will fancy their chances in Turkey this week. The bookmakers think that the Turkish side will take care of business but taking Herbalife Gran Canaria Las Palmas at +5.5, which you can find at odds of 1.90, is likely to be a great bet. If you are looking for the Over/Under market, look to go OVER 160.0, which you can find at odds of 1.90. Bet Now!